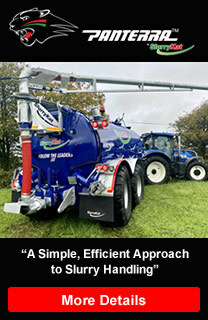 In order to reduce transport sizes of our larger dribble bar models, SlurryKat have pioneered a unique Anti-Drip swing up system that not only makes the dribble bar very compact for transport, but also eliminates any problems with dripping of slurry/manure from the delivery hoses. 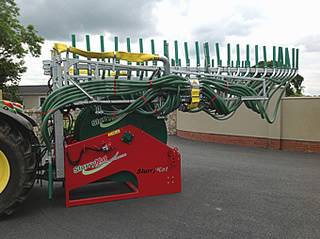 This feature is available on our 12-24 metre models. 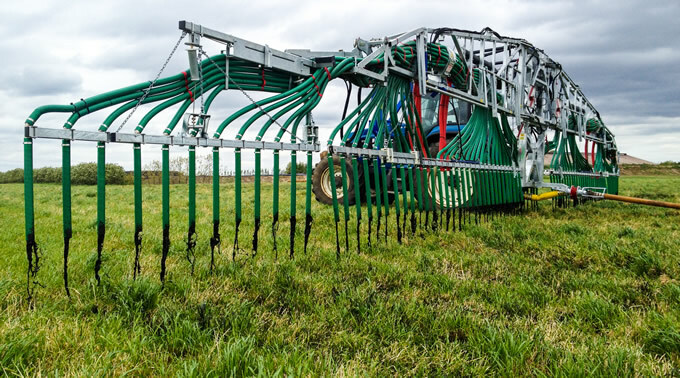 To cope with the massive reach available from its 24 metres arms, the SlurryKat 24 m Dribble Pak incorporates an elegant electro hydraulic folding/ unfolding mechanism, with top swing and hydraulic teleshift and 180 top swing. 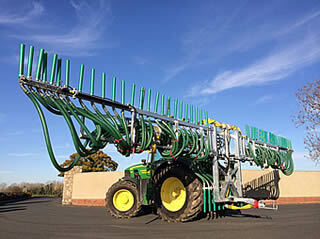 All of which serves to compress this dynamic – and dramatic - system to a remarkably compact 2.8m transport width. 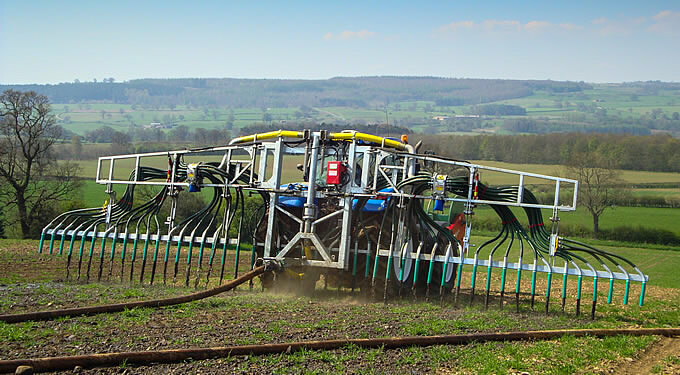 In operation, the flexible feeding hoses and Swing Max self-levelling system of the 12-24 metre models means you can be sure that an optimal liquid flow is delivered to your field, no matter how difficult the terrain may be. 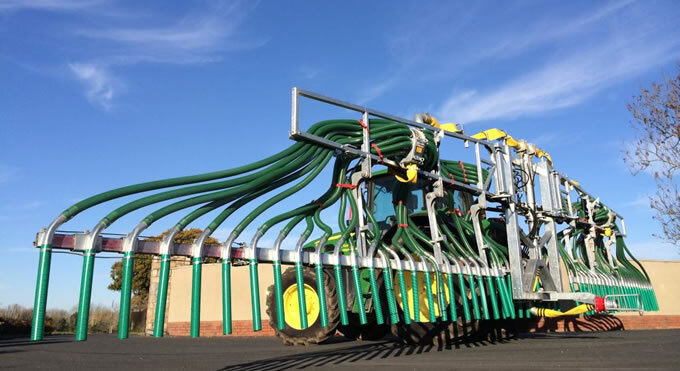 The only range of dribble bar spreading technology equipment specifically designed for use with pipeline umbilical systems!